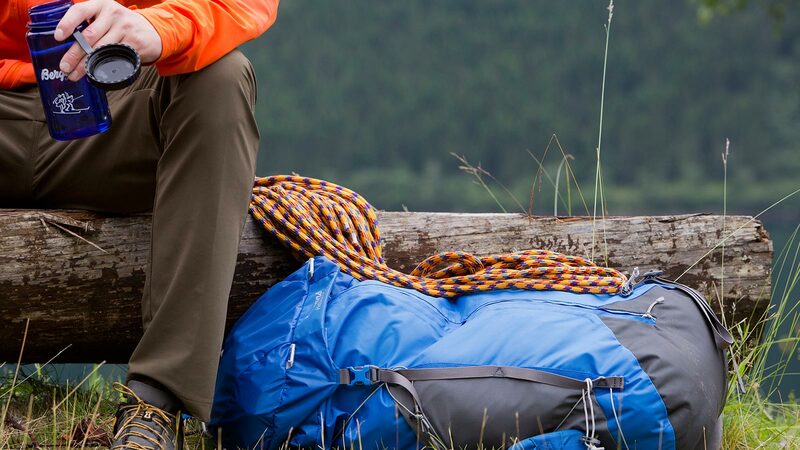 The Helium 55 is equipped with the latest generation Bergans QuickAdjust™ PRO, which means more function, low weight and great carrying comfort. The backpacks have a practical front zip opening, an easy compression system and are hydration system compatible. Detachable top lid (saves 70 g in weight). The lid is also height adjustable. It’s great to see that Bergans is looking into backpack recycling as one the first brands. 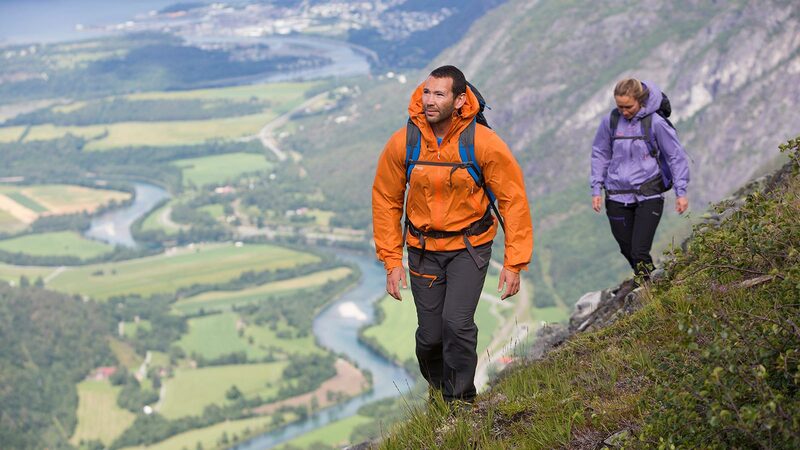 Customers can already give or send back their backpacks to the Bergans Flagship store in Oslo, Norway. In other countries, please ask the local dealer. Focus on long-term cooperation and dialog in the supply chain, a strong production control system and a support system to assist suppliers in fulfilling the principles in their Code of Conduct. Environmental reporting according to «Ethical Trading Initiative Norway». Part of the SME program for the «design development module» and other modules of the Higg Index. Manufactured in Vietnam with a long term partner. Polyamide fabric optimized for durability. Transportation from Asia to Europe by boat, then by truck from the central distribution point in Hamburg/D. Repair is possible by Bergans partners, but pieces are also available to be delivered at home. Bergans started a recycling program for backpacks in Oslo. Sending in your old backpacks is definitely a good idea. In Germany, please ask your dealer. Bergans has designated staff for environmental and social issues. They have added a team member who is also part of the top management. Annual sustainability training for all Bergans staff ensures knowledge and empowerment for colleagues, suppliers and customers to take sustainable actions. Since 2018 one CSR team member is especially looking after environmental and social issues along the supply chain. All staff is participating in a program called “Live the product” besides that Bergans gives the opportunity to educate all staff members to be certified DNT Tourguides. The sustainability training for all staff was concentrated on all employees in Norway and Germany, the next step will be to educate the Staff in all Bergans stores (Outlets, Brandstores). Bergans is a bluesign® system partner, which ensures chemical management, as well as the management of material resources and safe working conditions. Almost 75% of all products are made of bluesign® approved materials, even though they are not labelled especially (see Resource Management/label reduction policy). An internal Bergans team is visiting all tier one (Manufacturing) and some of the tier two (Material suppliers) partners regularly to ensure Quality Management. Social Management for the whole supply chain is covered by a partnership with the ITH (Ethical Trade Initiative) in Scandinavia. Bergans is Eco-lighthouse (Miljöfyrtårn) certified to continuously improve their own environmental performance. The already have renewable energy for all administrative buildings and wear houses in Norway and Germany, and in their shops in Norway and in Hamburg/GER. Reduced design, clear guidelines and innovative quality oriented material choices. Strong focus on design to repair, which means, that all pieces are especially designed to last a long time through wear and tear. They have conducted workshops with all members of the product design department to implement this philosophy. They are investigating into rental and leasing especially of the kids collections. Bergans Code of Conduct guides all sustainability work with manufacturers. Through dedicated projects, like improving social dialogue in factories, they aim to drive measureable improvements. Bergans is part of two pilot projects with the IEH in China, which focus on Workers Engagement. Bergans’ goal for expedition 2020: five supplier projects a year. They are using the brand and retail module of the Higg Index since 2016 to measure environmental and social impact, gradually including their suppliers. Bergans is using the comprehensive Material Restriced Substance List (MRSL) of bluesign® Technoligies (BSSL), which is updated regularly. Bergans runs a small own laboratory for garments and other material, finished products are tested with their extensive team. Feedbacks are directly linked to R&D. Bergans leads the EOG project to reduce Single Use Plastics in the Outdoor Industry. By choosing more and more recycled and renewable raw materials (such as plastic bags made of oyster shells!) for all packaging and making sure to recycle it after use, Bergans reduces impacts from logistics. Bergans just launched a Packaging RSL, which all suppliers have to sign. Bergans’ goal for expedition 2020: All packaging materials from sustainable sources. Bergans is pioneering a new way of „low greenhouse gas emission“ product transportation between Asia and Europe, by transporting part of their products (the whole Stranda Collection) from China to Germany by train. As for all other products, Bergans ships as much as possible by boat and minimise air-freight always trying to reduce climate gas emissions. The verified reduction in climate gas emissions is a strategic issue. Bergans’ goal for expedition 2020: Less than 2% air shipment. Bergans works with DNT (Norwegian Tourist Organization) and other organizations to enable people to share the experience of being outdoors. Education and health are cornerstones for building healthy societies. Bergans supports Mountain People’s work to build schools and offer basic heath services in Nepal. One of their staff members lives part time in Nepal and volunteering at grass root level. During the refugee crisis in Europe, they have given work to refugees to integrate them in the Norwegian society. Bergans partners with EOCA to stop the loss of biodiversity. They also support a project called WILD which aims at documenting some of the most amazing environments on the planet to inspire more people to engage in conservation. One event booth will be used for at least eight fairs. Since a long time, Bergans doesn’t print a catalogue anymore, but uses an electronic work-book. No single use plastics for catering. Bergans has „green workplace“ initiatives in place for internal events at Head quarters. All (sales-)meetings are held in certified hotels. If possible, car sharing is encouraged to all meetings. They are constantly looking to find the best solution for transportation, like hybrid cars for the sales staff and some electronic cars for shorter travel distances. Reporting in activities at the headquarters is ensured according to Eco Lighthouse. Bergans aims to maximise product lifespan by „design for repair“ and through guidance on product care (See also Design Process). They have an effective repair service. By the means of a „Repair and Re-Design bus“, they tour Norway from shop to shop to make new things out of old products, which have reached their end of life and therefor make the materials live longer. 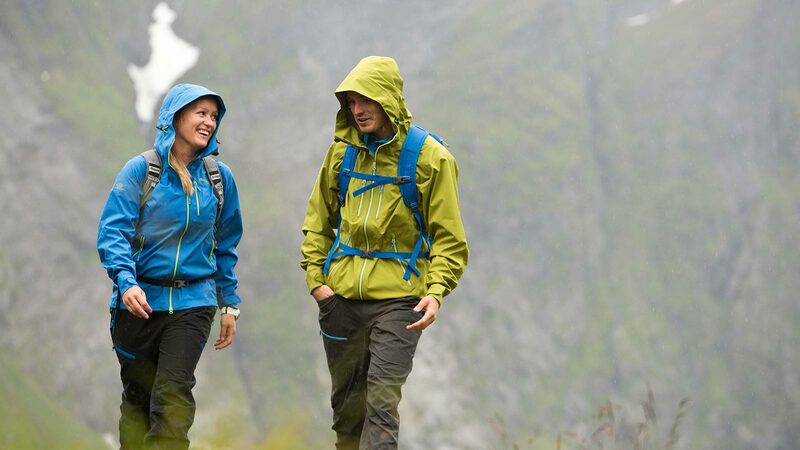 All other garments, retuned to Bergans by the consumer and not suitable for sale are sent to their partner Human Bridge for reuse or recycling. They are also working on the possibility to recycle backpacks and have a first take back system in place (Flagship store in Oslo). For other countries, please ask the local dealer. To learn more about the environmental impact, Bergans assessed their more sustainable choices of materials by Natural Capital Accounting in 2016. Natural Capital Accounting (NCA) is a method to calculate environmental benefits in monetary value. It converts the use of the natural resources (of materials, during production, distribution, use and end of life) into a value, which reflects the societal cost of the environmental impacts of the product. NCA helps to find out the most efficient ways of minimizing the ecological footprint of a product, and providing clear guidelines for product design and the use of materials. Using the RDS (Responsible Down Standard) and the RWS (Responsible Wool Standard) for animal welfare. „We use an internal definition for “more sustainable” products, containing more sustainable raw materials mentioned above. The share of these vary for different product groups since challenges are different for different kind of materials, but we have had progress over the past 5 years and are coming closer our goal of 70 % more sustainable products until the year 2020. 100% of the products come from manufacturers, which are audited by Bergans staff and need to comply with very stringent criteria. Working conditions, payment and health and safety ensure a minimum standard and every manufacturer needs to sign the code of conduct. 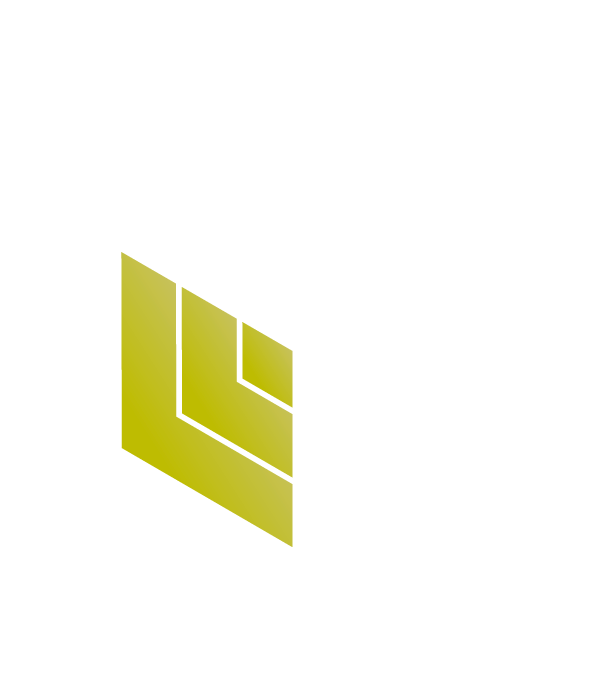 Bergans has long-term relationships to most of the manufacturers (Tier One). Suppliers (Tier Two) also need to sign the Code of Conduct and an RSL (Restricted Substance List). Bergans takes part in the HIGG SME pilot project. Bergans tries to communicate more openly on what they have done, where they stand and what they still have to work with – in contrast to before when they rather avoided to communicate in fear of being criticised. Additionally they communicate more directly with end consumers now, and are committed to do their part for helping them to use the products in a more sustainable way with suitable services for increasing product lifetime. They are also part of different industry-wide and cross-industry collaboration projects, for example the ongoing research on micro fiber. 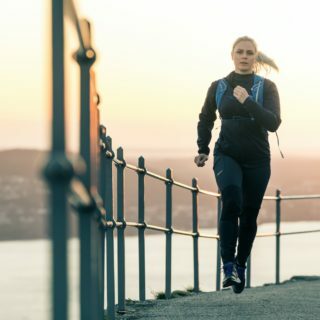 Bergans invests into innovative fabrics like ecodear®, which is a plant based Polyester made from sugar molasses and therefore not competing with the human food supply. Bergans has had a bigger focus on Circular Economy in the past two years and trying to develop products and services that fits into a circular business model, thus taking responsibility in shifting the way we all do business and so adapt to a more sustainable way of doing it. For their new sustainability strategy, which they are working with right now, they also try to integrate their commitment for bringing more people out into nature, whilst increasing the awareness of protecting it. Both approaches are also covered within the Sustainable Development Goals, especially in goals no. 3 (good health) and 12 (Responsible Consumption). Bergans is part of the Ethical Trade Initiative Norway (ETI Norway) which sets a framework and social guidelines for our supply chain. They also have to report each year to ETI on how and from where they source and what they do to improve ethical trading within their supply chain. Bergans has to finalise and then implement their new sustainability strategy “Expedition 2030” which sets out the direction for the coming 10 years, including more and more specified goals for different business areas. This document will provide them with targets and the direction for their business for the coming years. This backpack is made from a very durable Polyamid (Nylon) material and designed for a long life. For this backpack Bergans supplies parts for repair. For everything, which can’t be repaired by an individual, you can send your pack in for repair in each country. Bergans started a recycling program in Norway for backpacks and is currently researching material recycling options for backpacks. If your pack is done, don’t hesitate to send it back. 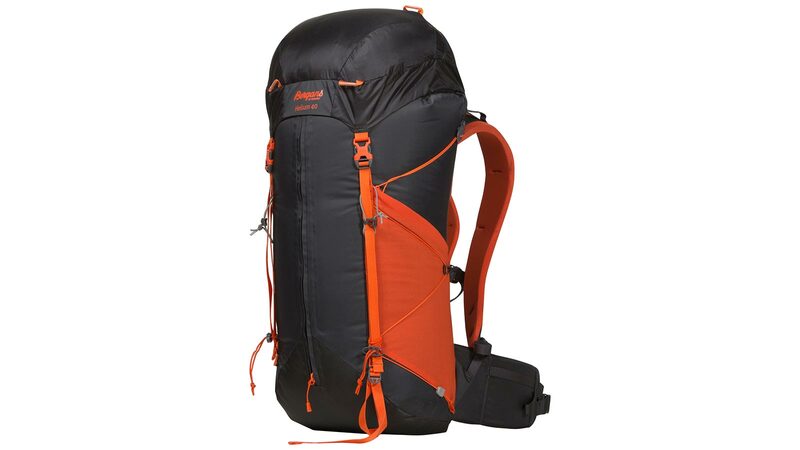 There are no specific certifications for this back-pack, however there is only a limited number of certified raw components for backpacks on the market yet. This backpack is produced in Vietnam with a long-term partner. Face fabric has a C6 PFC chemistry, which is regarded as a hazardous substance. The decision to use this chemistry was made to guarantee the technical performance. Bergans has the goal to fade out PFC chemistry by 2020. Bergans is visiting their factories on a regular basis to make sure, production goes according to their environmental and social guidelines. Bergans has a sophisticated repair program. Ole Ferdinand Bergan founded Bergans 1908 in Oslo/Norway. The brand employs ca 150 people worldwide with a turnover of ca 85 Mio €. It is best know for skiing, hiking and mountaineering.